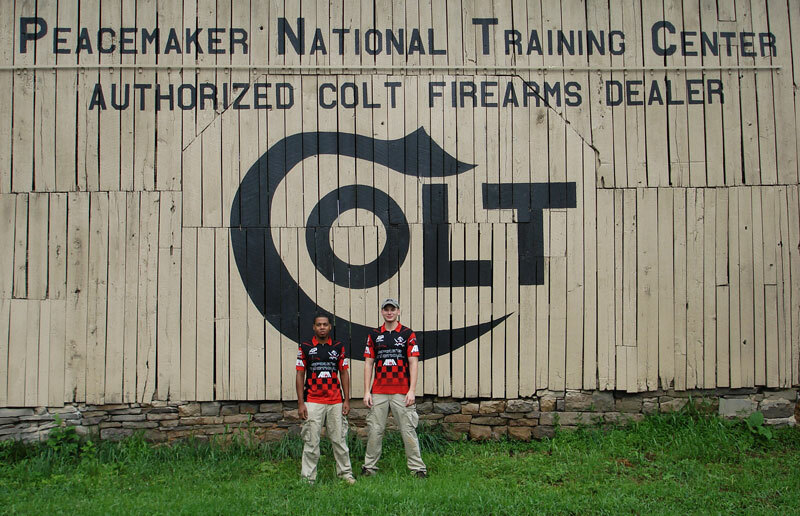 After shooting a successful match and placing second at the Topton 3-Man 3 Gun match, Ben Powell, Ryan Nowell and myself headed up to the Peacemaker Training Center in Glengary, Virginia. This facility has several large 100 yard bays along with provisions for long range shooting over a 1,000 yards. This gave the match director Dean DeTurk and his staff plenty of space to create fun stages that provided a challenge to a team of three while still remaining easy to reset. 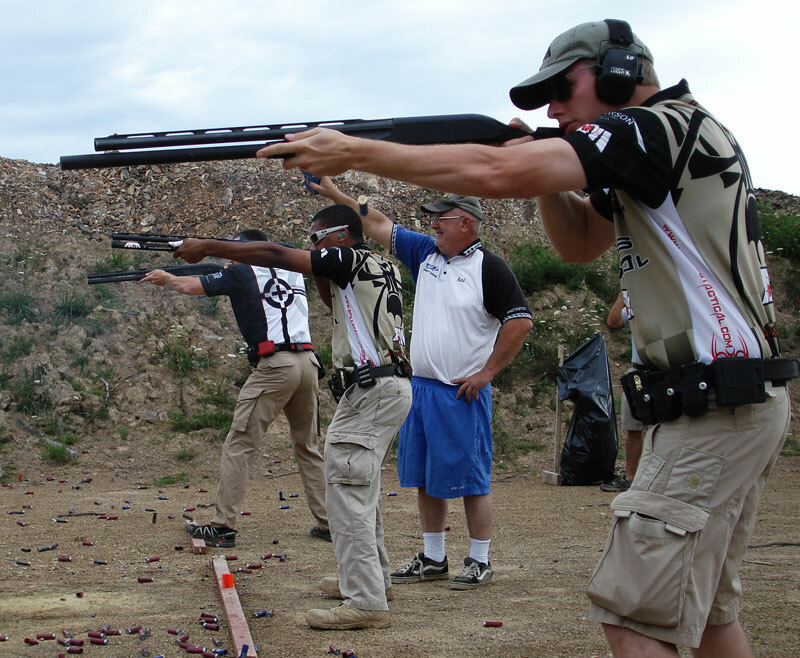 The concept of the event is that three shooters would complete a course of fire that involved either a relay race or a static multi-shooter stage (Rolling Thunder). These stages required more planning since the shooters were given the option to decide which shooter would engage what targets with which weapon. Strategy was almost as important as marksmanship in this respect. Since 3-Gun emphasizes being a well-rounded shooter, all teams were required to have every member shoot every weapon at least once during the event. 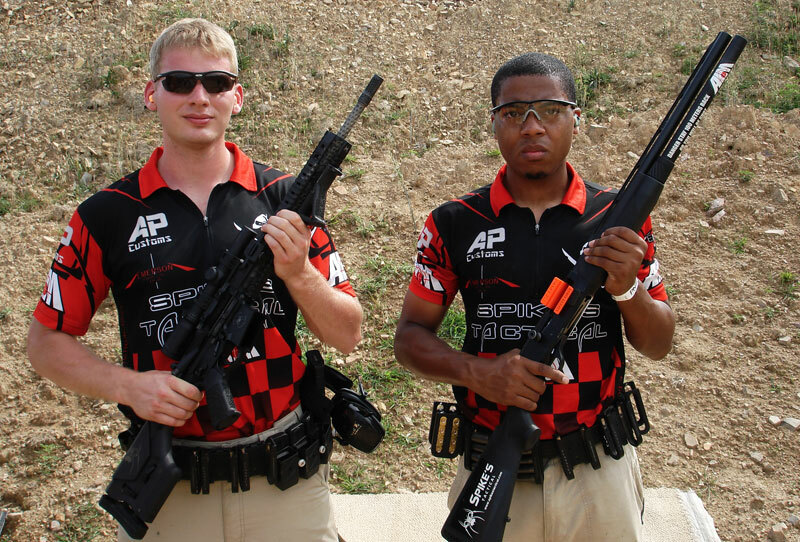 This meant that all members had to be proficient with every weapon to remain competitive. Although our team started in 2nd place at the end of the first match, we finished series in 6th overall with over 45 teams competing. When a team dynamic is added to the sport, the actions of one effect the success or failure of all. In a six-legged-race, someone will always trip, and every team in the event from 1st-45th had their moments As a wise shooter once said, “The secret to shooting a successful stage is to not take your upporting hand off of your gun to pat yourself on the back for doing a good job until you’re finished shooting and the targets are scored.” The good thing is this match was some of the most fun I’ve had in a number of matches. The event ran without a hitch and Dean and his crew did an excellent job of running everything smoothly. There was also a side match set up to benefit the Wounded Warrior foundation. We watched a couple of teams shoot it and thought we should give it a try. On our first run, we had a couple make up shots so we shot it a couple of more times and got our time down into the mid eight second range. We wanted to make one more Hail Mary run at it but were about out of shells so we borrowed some more and went at it again. When the dust settled, there was one clay pigeon standing. As we looked closer, we saw a single bb hole through the clay which is just enough to neutralize the target. We ran the stage in 5.65 second run which won us the side match.